Tuning into tonight’s Great British Bake Off? 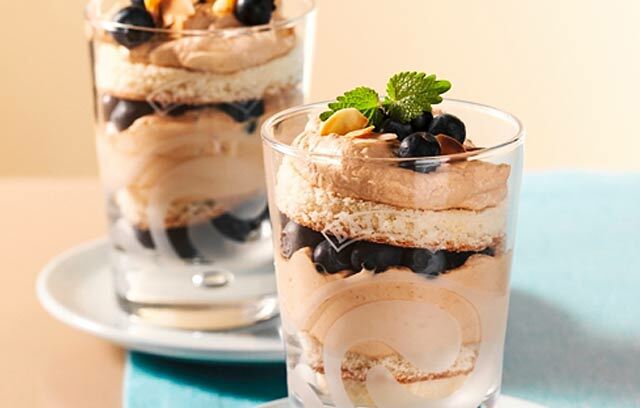 This week they’ll be whipping up their ‘signature trifle’ – and if yours is more Rachel Green than Mary Berry (hello Friends fans!) you might want to check out my recipe suggestions. 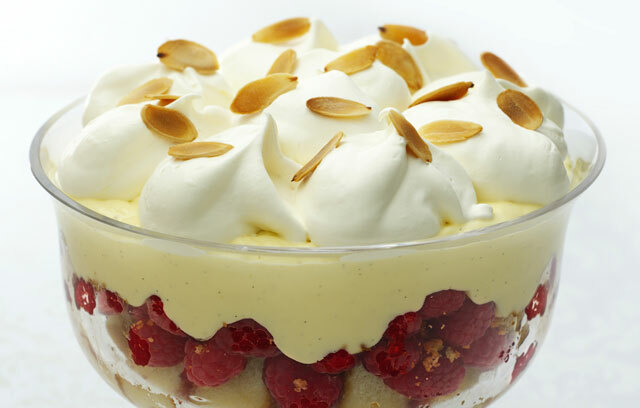 The trifle is essentially just layers of yumminess, so how hard can it be? These three look easy (and tasty) enough, so I say reclaim this retro pud and make trifle your signature dish. One for traditionalists, this makes a great centrepiece at the end of a meal, and you can swap in whatever berries are in season. Talk about decadent! 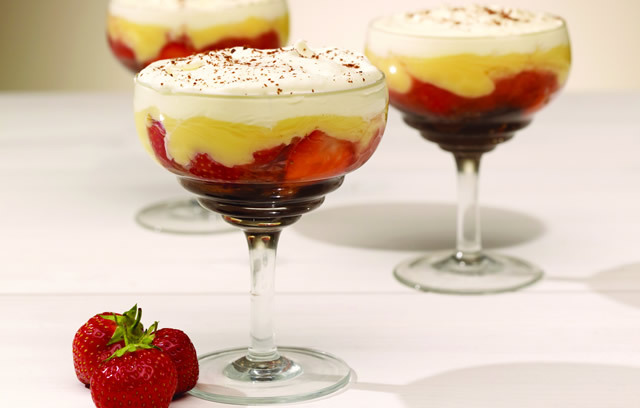 With mascarpone and booze, this is a little more grown up than your average trifle. A fun and very easy treat, and great to make with kids. Feeling inspired? Check out our Get Baking event for any bits and pieces you might need.